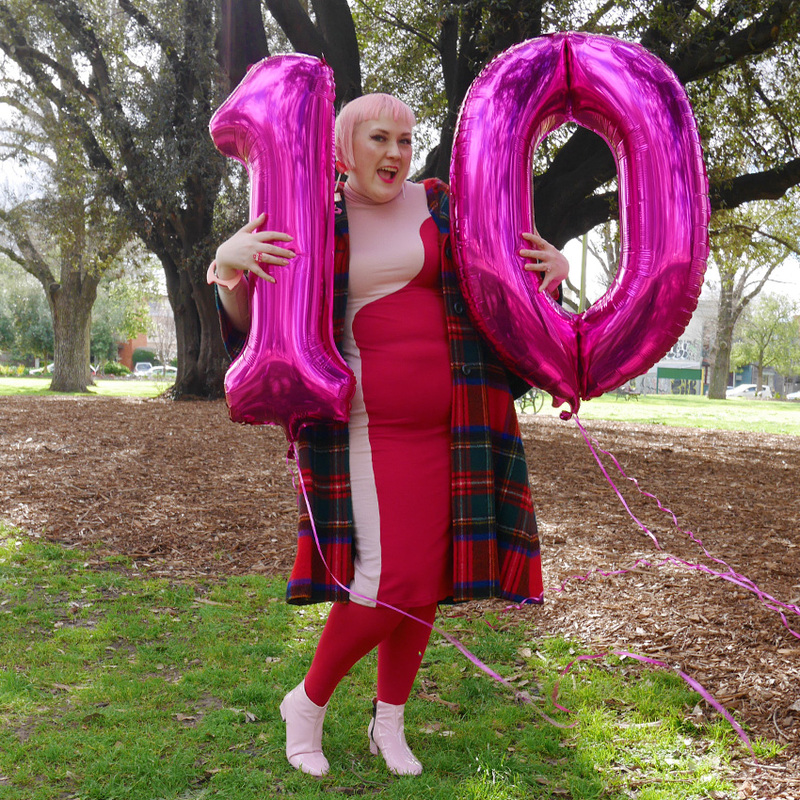 Fashion Hayley: My blog is 10 today!!! 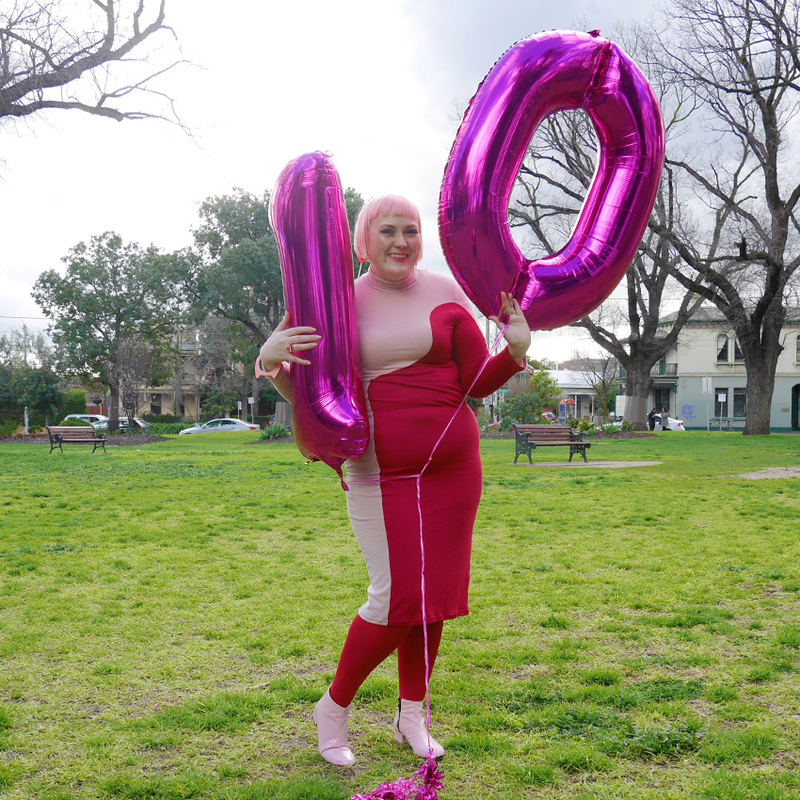 My blog is 10 today!!! 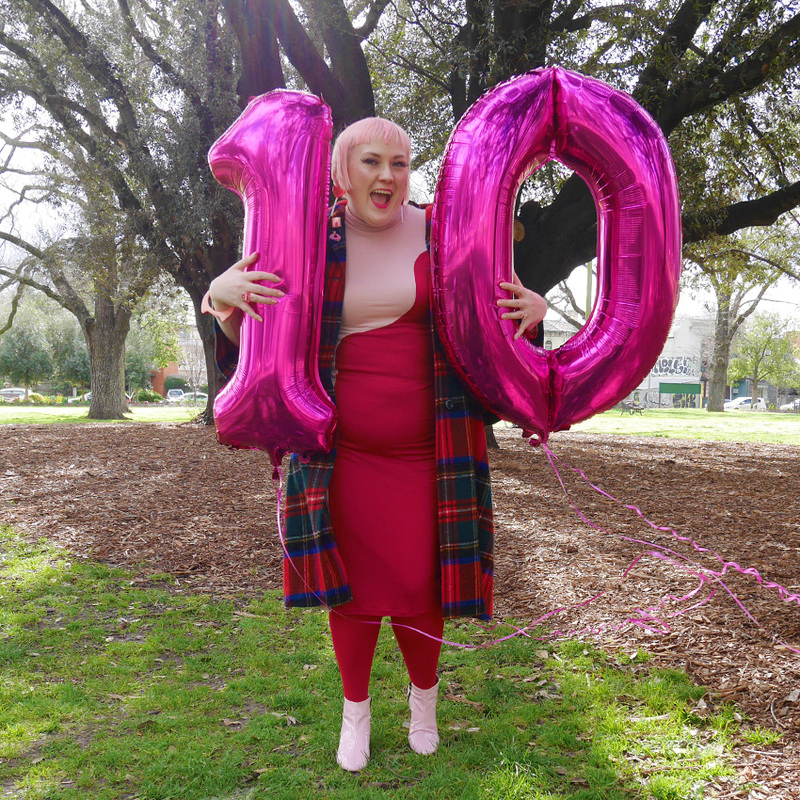 Yep that's right, today is the 10th birthday of my blog! My first ever blog post was written on the 1st of September 2006, a pretty cringe worthy post as for some inexplicable reason I decided to use a red font, however it is a pretty cute post full of excitement about moving to Tokyo in 18 days and how I planned to document my year living there on my new blog. Little did I know that I would go on to document the next 10 years of my life here at Fashion Hayley (my blog was originally called Fashion Hayley Hits Japan - does anyone remember that?) 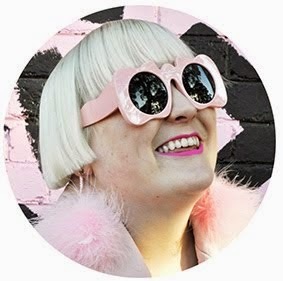 You can see my blogging style has changed a lot over the years as originally my blog was just about my day to day life living in Tokyo and not really about fashion at all, at least not how fashion blogs are today with epic photoshoots and very little personal information. I do miss the old way of blogging sometimes, I definitely miss reading blogs and feeling like I knew the person, these days there is very little to read on fashion blogs including on mine, but the social media landscape has completely changed how we connect, now I have snapchat and instagram for the more everyday stuff (@fashionhayley on both) and I use my blog to express myself creatively in what I wear and the locations I shoot in rather than to document my life as such. I can not believe that this little blog that I started in my bedroom in Fitzroy to document my move to Tokyo and the year I spent there would take over my life, becoming my job and taking my around the world and across Australia with it. I am so amazed that it has been 10 years, it feels like only yesterday. My blog has seen me move to Sydney and back to Melbourne, get flown to New York, go to Tokyo countless times and attend lots of fashion shows and openings over the years. I've been asked to write a column in a top fashion magazine, featured in three books and lots of magazines and worked with some very amazing people and brands too! The best part however has always been connecting with my readers, getting lovely emails and messages from you guys or getting stopped in the street which always blows my mind and makes my day. I wouldn't be where I am today without you so I thank you all for following me on this journey for the last 10 years. I bought these amazing fake eyelashes whilst in Sydney at my favourite little Asian beauty shop in Chinatown, they have a pink stripe on them. 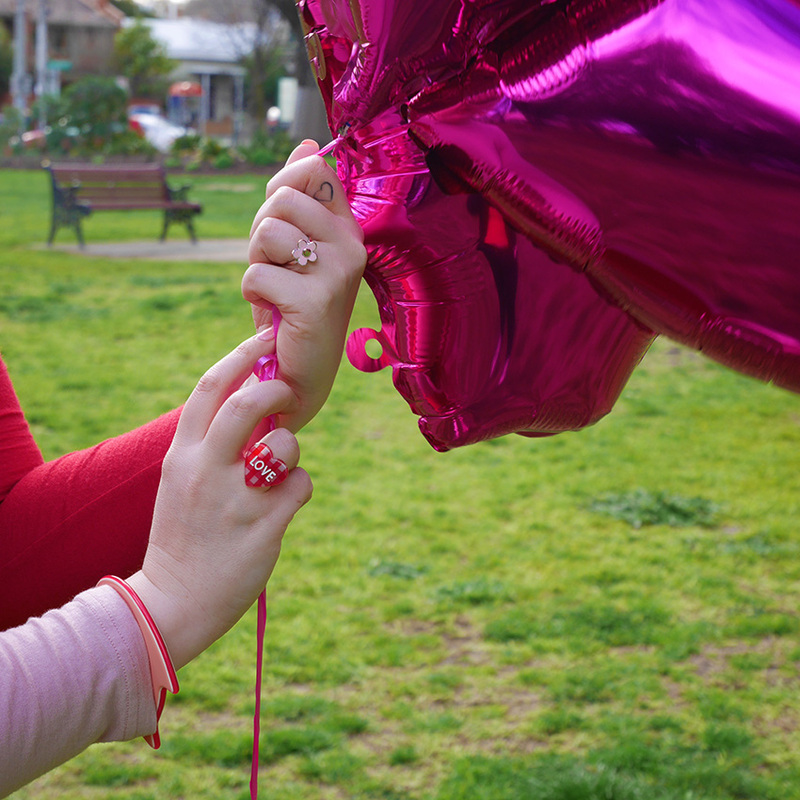 Yes one is coming off my eye in this photo, you can thank the epic wind and getting bashed in the face with helium balloons all afternoon for that haha. I will never work with helium balloons again! I wore these two pins to represent both my Tokyo life and my Aussie one and you can't get more Aussie than an iced vovo bickie! 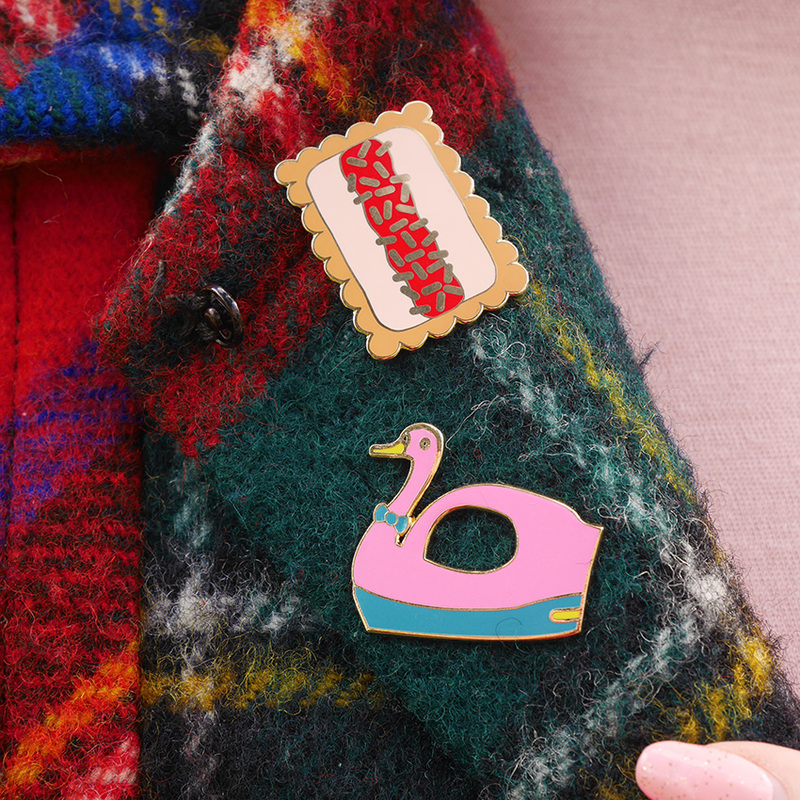 I fell in love with Tokyo's swan boats on my first ever trip to Tokyo in 2004 so as soon as McKean Studio released this pin I knew I had to have it. My cute little ♡ tattoo by Tessa Claire has faded a little but I still adore it. Finger tatts fade faster than any other place so I knew it was a possibility when I got it. 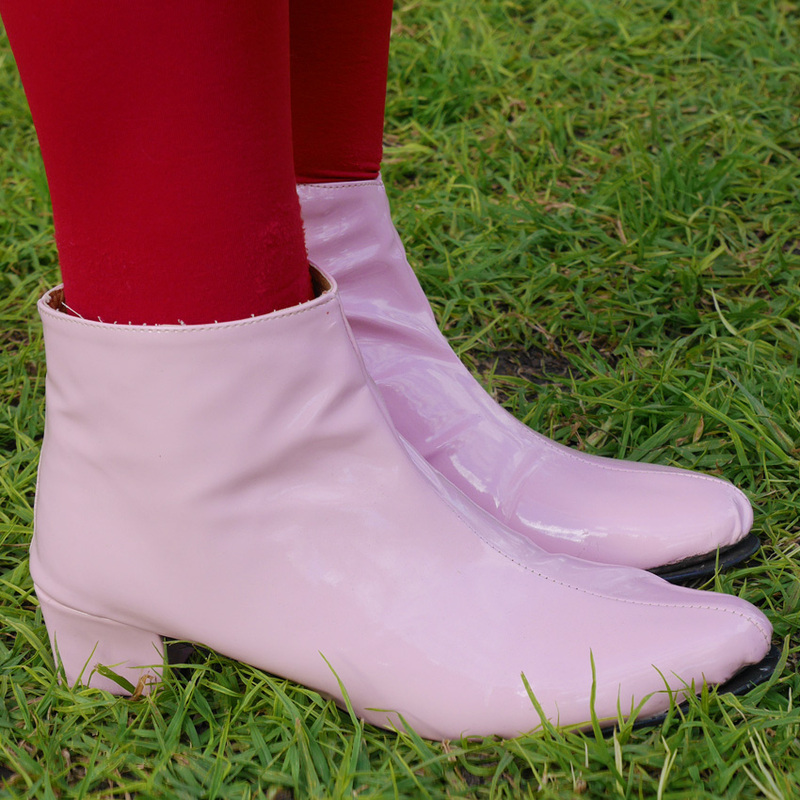 I freaking love these boots so much! 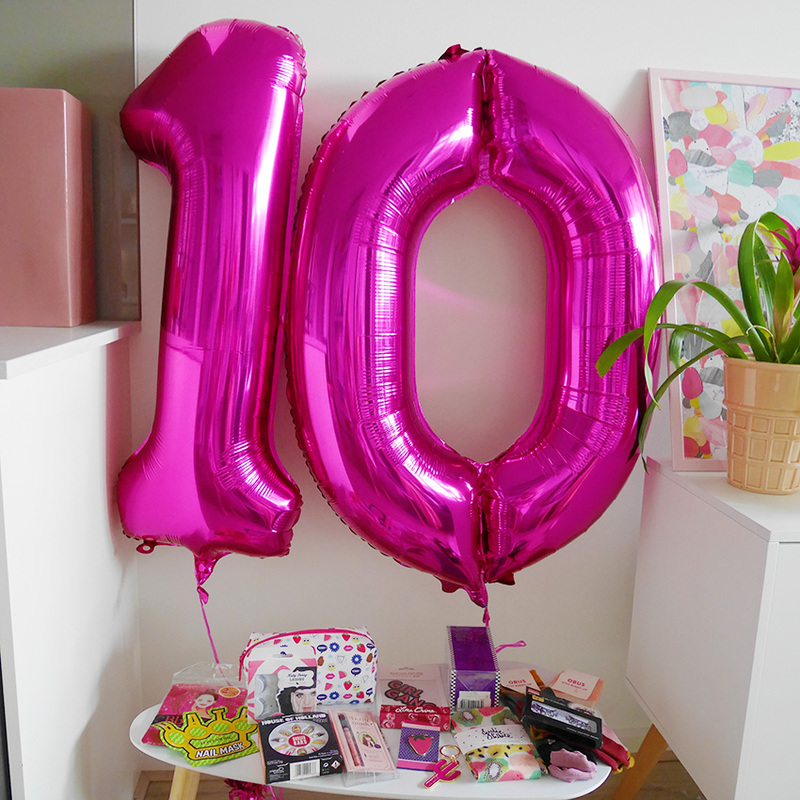 The prize To celebrate Fashion Hayley's 10th birthday I'm giving away a collection of my all time favourite things from some of my favourite local designers and brands. To enter Simply comment on this post with your favourite birthday memory. Mine is having my birthday at Luna Park when I turned 15. Don't forget to leave your email, twitter or blog address so I can get in touch with you if you win. Competition closes Thursday 8th September 2016 at 5pm AEST. Prize pack includes: Daiso BB face mask, Lovemore nail mask, emoji makeup bag from Sportsgirl, Katy Perry fake eyelashes, House of Holland burger fake nails. Dolly Wink black liquid eyeliner (my fave! 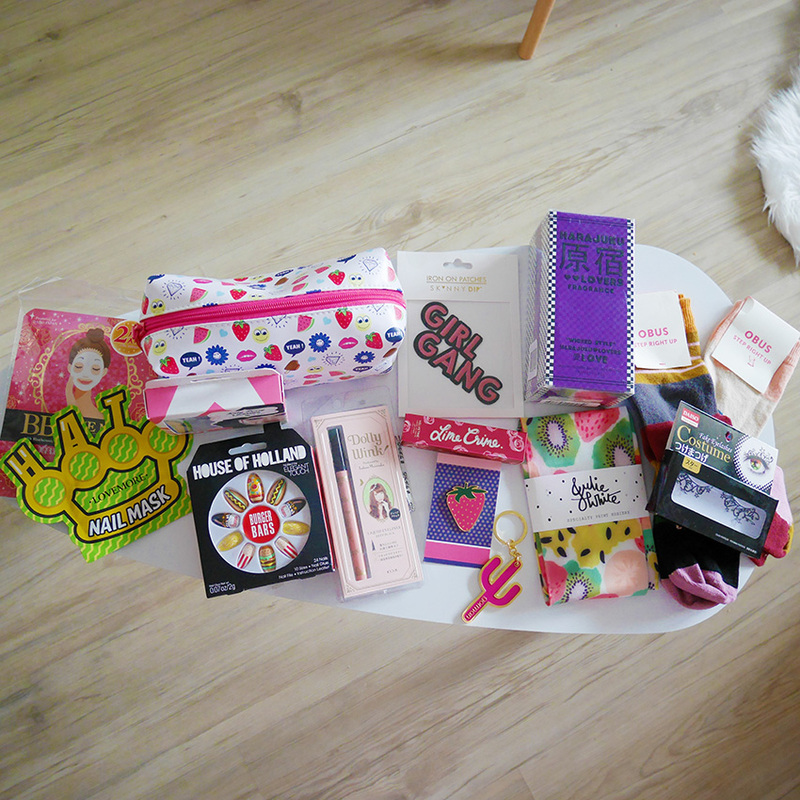 ), Skinnydip Girl Gang iron on patch, Lime Crime pink velvet, McKean Studio strawberry pin, Gorman cactus keyring, Harajuku Lovers LOVE perfume, Julie White Pavlova socks, 2 pairs of Obus socks and some Daiso costume eyelashes! At my tenth birthday my dad was packing up wrapping paper maniacally (a trait i love in him) and he accidentally threw out all my gifts! The next day he took me to world for kids Toy Shop to replace them all! My favourite birthday memory was last year...started the morning with champagne breakfast and ended it knowing where I was going to live in Melbourne for University. I'm originally from a small farm, 10 hours north in NSW. Finding my apartment in Carlton definitely made me feel like I was growing up! happy blogversary! won't ever get tired of your wonderful outfits!! happy birthday, have loved following your blog for the past 10 year! Do you remember Pizza Hut restaurants? I had a pizza party for my 8th birthday. Unleashing 8 year olds at a dessert bar with lots of options is never a good idea. It got messy fast but so much fun! My best memory was my 25th birthday, four of us had a combined "100th Birthday" sharing the love was a lot more fun! Hey congrats on 10 years!!! My fav birthday memory is waking up in revelstoke Canada to it snowing. Then snowboarding all day finishing it off with some great mates for dinner. 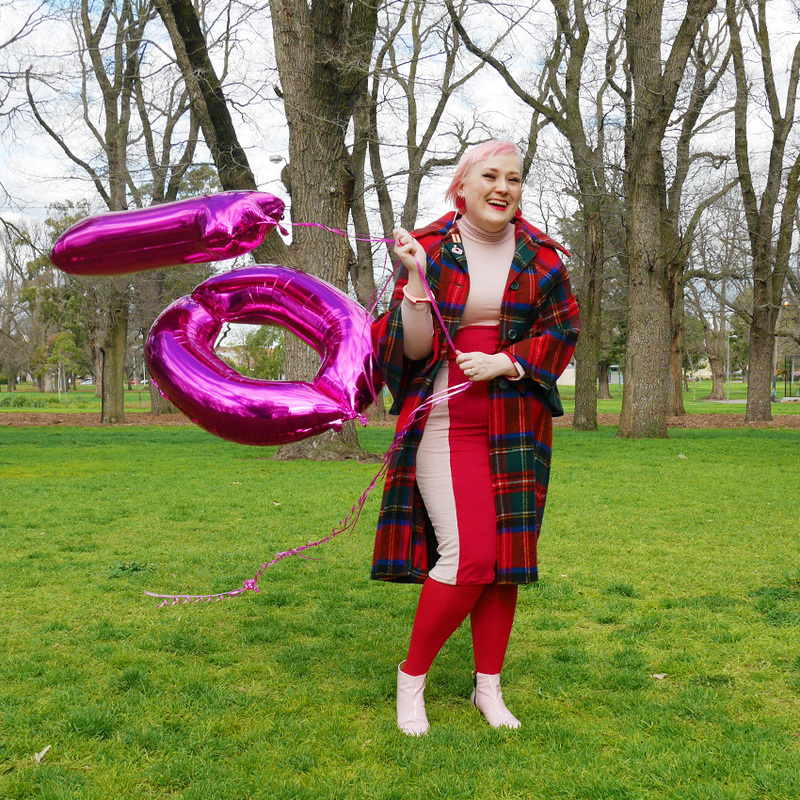 Wow great achievement i love the colourful things you wear loving the pinks and reds my favourite birthday was when i celebrated my 21st as i shared it with someone special my brother. Dear Hayley, Happy blog birthday. You're commitment to pink is legendary. My favourite birthday was home made wildfire pizzas, friends, bubbly and a groaning dessert table with a choc ripple cake front and centre. Lovely. 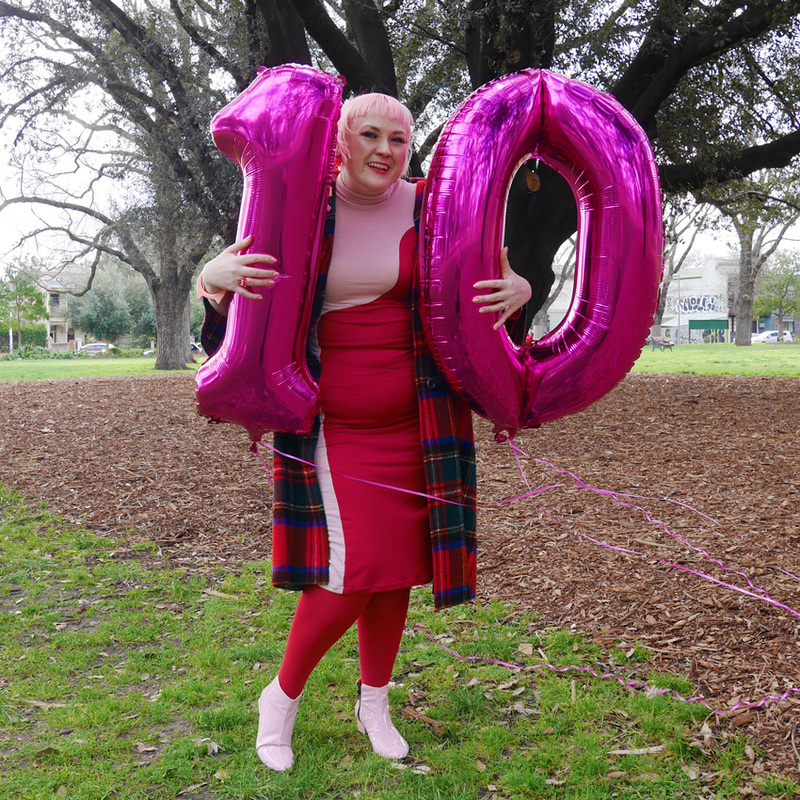 Congratulations on 10 years of blogging Hayley!! My favourite birthday memory was from my sweet 16th - my friends threw me a surprise party & I had no idea!! I remember feeling so overwhelmed that my friends would go to all the trouble of organising a surprise. My favourite birthday memory was my from my 12th birthday, which is also when I got my period for the first time at my water park party. Congrats on 10 years Haley! I watch every snapchat you ever post, you're such an inspiration to me as a plus sized girl. My favourite birthday memory is probably my 13th birthday party, i had a dress up party and the theme was that you had to come as something which started with the first letter of your name. 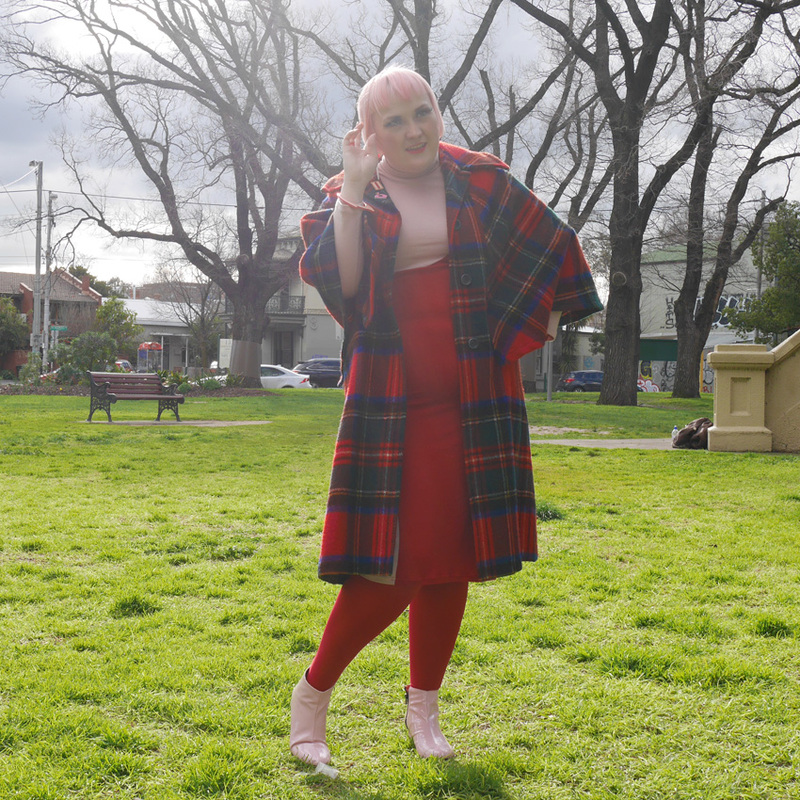 I came as mini me and wore a bald cap. The photos are so awkward to look back on now! But it was a fun day with my friends. Ahh congrats on a decade Hayley! I remember reading your Tokyo-specific blog from years ago! My favorite birthday memory is is my 16th and sneaking some away time in my bedroom with my crush at the time. Yep, made it to 2nd base ;) and was then rudely interrupted by his friend wondering where he went - damn! My best birthday memory is not a single one, but something that occurred every year when I was a kid and lived at home with my parents and sisters and brother. On every birthday we would be woken with birthday song way too early in the morning, to make sure all the family were there to sing "Fødselsdagssangen" (the Danish birthday song). It sounded absolutely awful since none in my family can sing. With sleepy eyes and still yawning we would get a present and breakfast in bed. It was the best of times! Happy days to you beautiful Hayley! I've loved reading everyone's memories. Congratulations on 10 years, what an amazing effort! My favourite birthday was my 12th. I had an amazing race birthday party around my suburb. I encouraged (forced) everyone to wear fluro. My mum sent photos of the birthday party in to Total Girl and they were published in the magazine. Pretty cool/ slightly insane birthday. I can rememeber a specific birthday but I can remember every single amazing birthday cake my mum made me out of the classic "woman's weekly birthday cake book" I'm pretty sure everyone knows the book I mean! For my 2nd birthday I went to the local zoo with my grandfather (the first and last time I ever saw him) and that was where I feel in love with giraffes. I still have the soft toy giraffe my mum bought for me that day, almost 19 years later!! My favourite birthday memory is my 6 year old birthday. It was mermaid themed. My mum made me the most incredible mermaid costume, staying up night after night sewing. She even made an amazing shell embellished crown, that I wish still fit me!! The party featured all the under the sea themed food you can think of. Now that I think about it, I think my 21st should be mermaid themed! Happy BlogDay!! Mine was when I turned 10 - I thought double figures was awesome!!! My favourite birthday memory would have to be my 10th birthday, I had an "original" ninja turtles party when they first came out and got a ninja turtles t-shirt and thought I was soooo cool in front of all my friends! 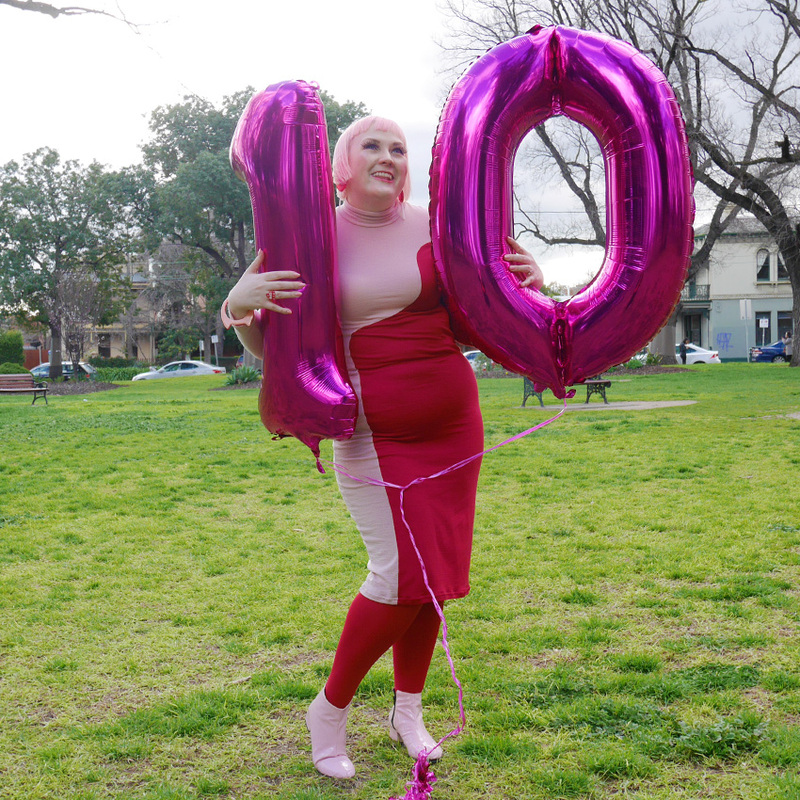 HAPPY 10 BLOG YEARS HAYLEY!! Oh my gosh! Best birthday memory is when I turned 7 and invited all of the year 1s at my school (45 of them) and mum and dad hired me a horse and pony and we rode horses up and down our laneway! We also borrowed cowboy and cowgirl costumes for all 45 people from the school production wardrobe and EVERYONE was dressed up as Cowboys! There are so many cute photos ! After the event It was nicknamed "Elissas super 7 birthday"
Congrats on your blog's birthday ! Must be close to celbrating your kid's bday haha ! I've been following you for years now and the quality of your blog has not changed, it just get's sweeter and sweeter ! Regarding my best b'day memory was last year, for my 20ies : I wen't on my one to see a concert with two of my favorite bands in Paris. It was at night, and I did'nt plan on a place to sleep since it was supposed to last all night. The concert was great, I had a great time, but it finished earlier than what was planned. It was 2 am and I was supposed to meet one of the artists (that I already had met) to go to an after party. Except my phone would'nt work, so I waited for him at the artist's exit. Waited, waited, and it was already 3 am. So finally I understood I probably had already left. I had to find some place to sleep. No subways in paris after 12pm, no money for a cab, I decided to walk 40minutes to get to a friends place. Once I was there, I felt relieved, until I found out the interphone code had been changed. What a f***** up night, I ended up sleeping in his hallway until the cleaning women threw me out the next morning as I was all hungover. Fantastic memory for my 20th birthday ! 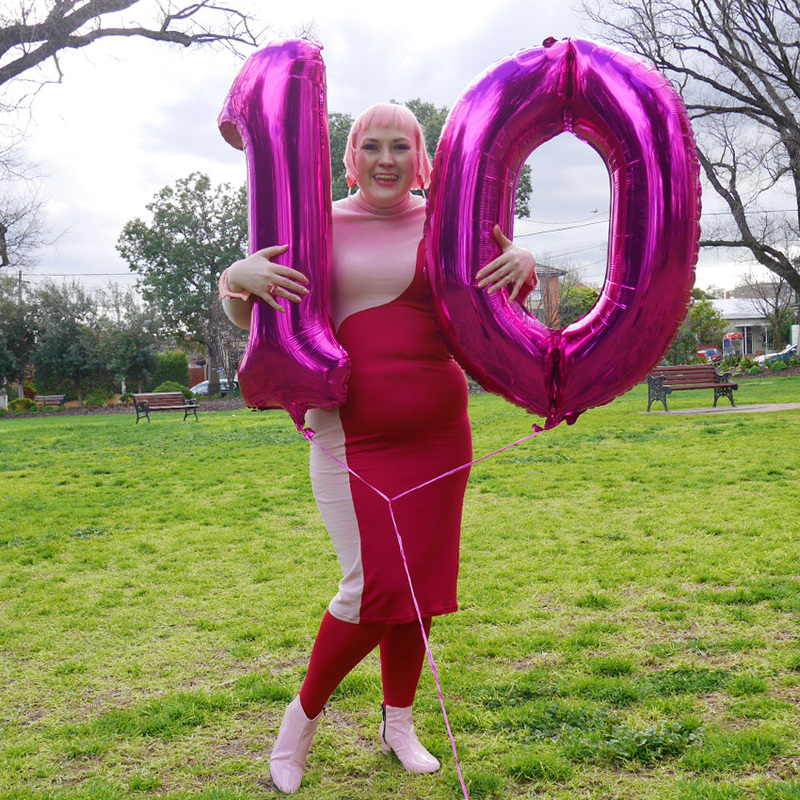 Congratulations on getting to 10 years of blogging! I dont know if I have a single favorite birthday. I celebrated my 10th bday at Smorgys (my fave) and got a barbie horse riding game that I played non stop for weeks. And I celebrated my 21st birthday having an Austin Powers dress up party which was the best fun too. Happy blog-day! One of my favourite would be in the back yard, in a full hot pink lycra Pink Power Ranger suit that my mum made especially for the day. Nothing beats the anticipation of a childhood birthday. The punk party I had when I turned 9. 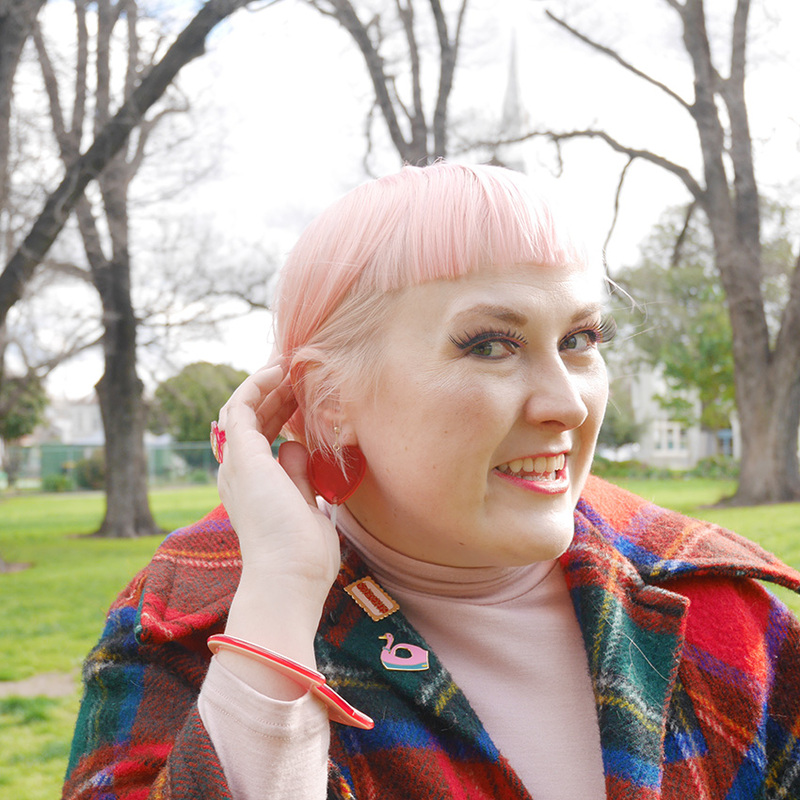 I spray-painted my hair pink and my guests and I went walking down the street screaming, 'We are punks!' Lol.